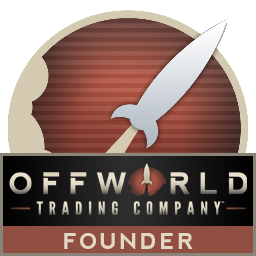 New Jupiter's Forge Expansion for Offworld Trading Company Releases Today! You thought Mars was a tough environment? Think again. Prudent business decisions take you to Jupiter's moon, Io, to harvest its resources and keep an edge on your competition. 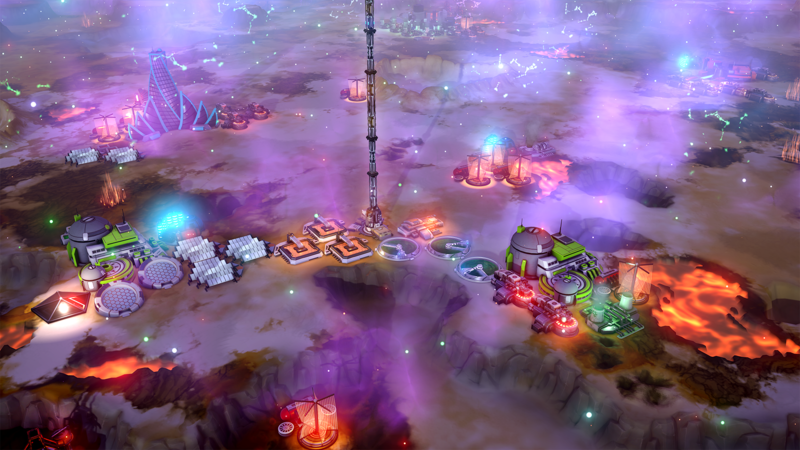 Io's 42-hour days and lack of an atmosphere means that you'll have to change your strategy and choose what to build very carefully! Radiation storms, sulfur frosts, tremors, and harsh landscapes threaten your business model and force you to adapt in order to survive. Explore Jupiter's volcanic and volatile moon where energy is plentiful, but life support is so difficult that it makes Mars look like a paradise. On Io, production works a little differently. There are plenty of new sources of power, but basic human needs - like water - simply don't exist. Priorities for what you build and harvest on Io are vastly different from Mars or Ceres. 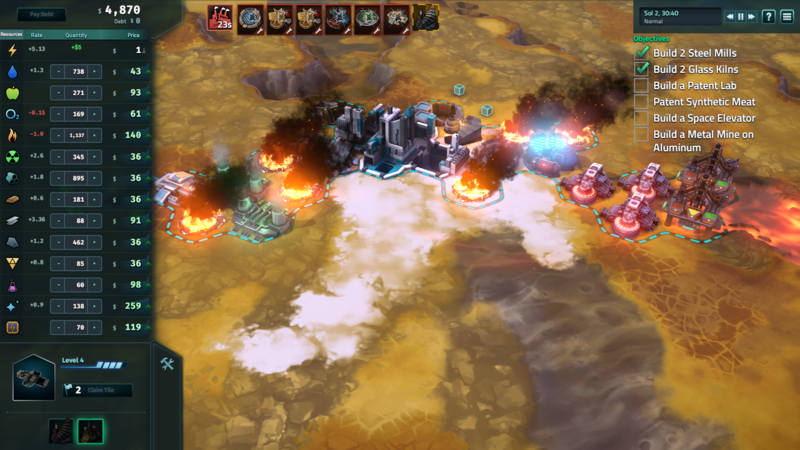 New resources like basalt exist only on Io and will let you build new structures and adapt to the lack of other materials. Compete against the rest of the community in this unique set of challenges. Each map evolves, becoming more difficult than the last - can you fight your way onto the leaderboards? Push yourself past the competition and see how many maps you can conquer before the harsh environment of space gets the better of you. 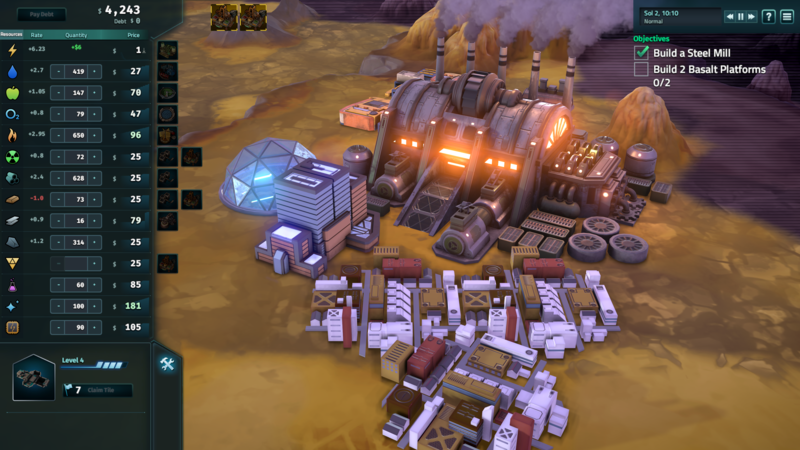 Show that you have what it takes to build your business on the harsh environment of Io. Snag your resources before your adversaries do and prove to everyone that money talks: you made it on Mars, and you can make it on Io, too. An elite business group with grand visions, they are ready to crush any other corporation that gets in their way. Advanced buildings like Hacker Arrays and Patent Labs are top of the line and grant them an edge on competitors. The patent race also means nothing to them - they can purchase a patent at any time, even if its already been researched by another player. It's all legal, they assure you - read the fine print. Highly adaptable and influential, they intend to thrive on the harsh environment of Io. 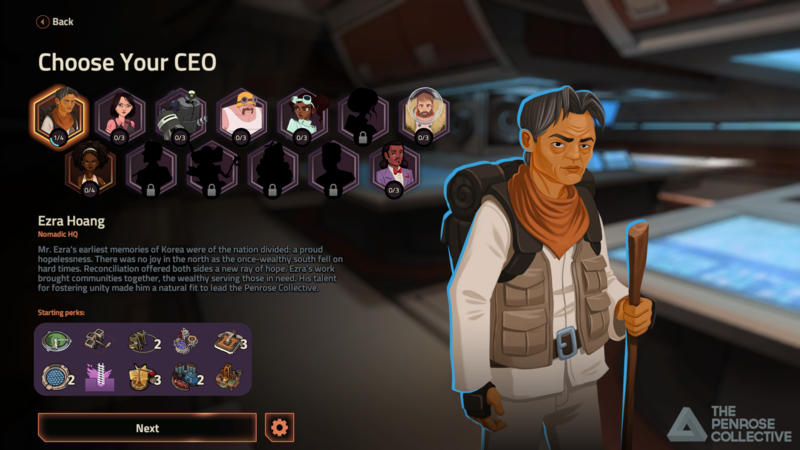 With the ability to found 2 headquarters at the start of the game, they are able to spread their operations across an already depleted environment in order to afford them access to more resources. 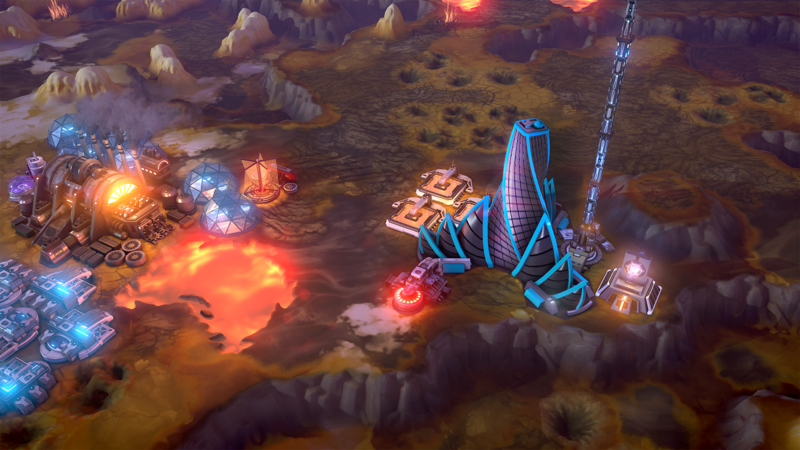 When resources deplete on a claim, the Collective simply trades it in for a more profitable spot. 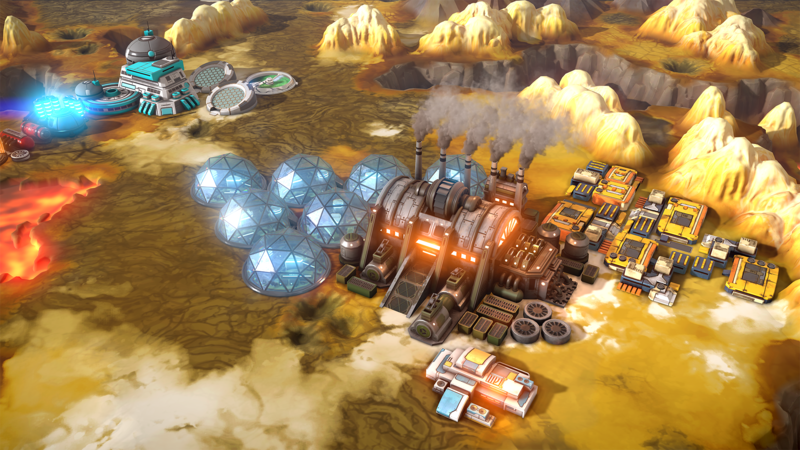 Get Offworld Trading Company: Jupiter's Forge at Stardock or on Steam today! Missing some DLC in your collection? Get the rest for the complete experience!